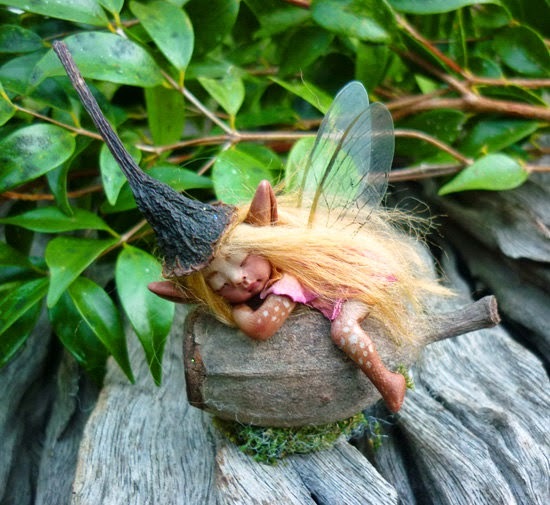 These fairies by Celia Harris of Scarlets Bones on Etsy absolutely fit the bill. 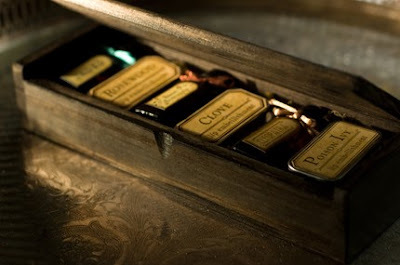 I adore them, I pretty much need one of them really... just deciding which one is the challenge. 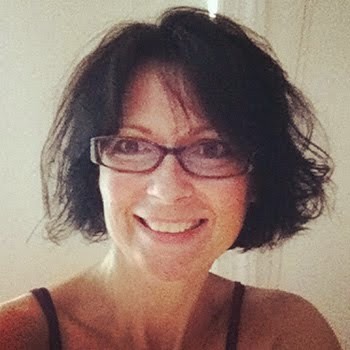 Take a look at a few of my favorites here and visit her shop to see which you like best. Uniquely Renaissance : Handmade Garb for all your RennFest Fantasies! The fairy is hard to find as a full costume, fairies are very unique and individual characters. I think it's all about the wings really. 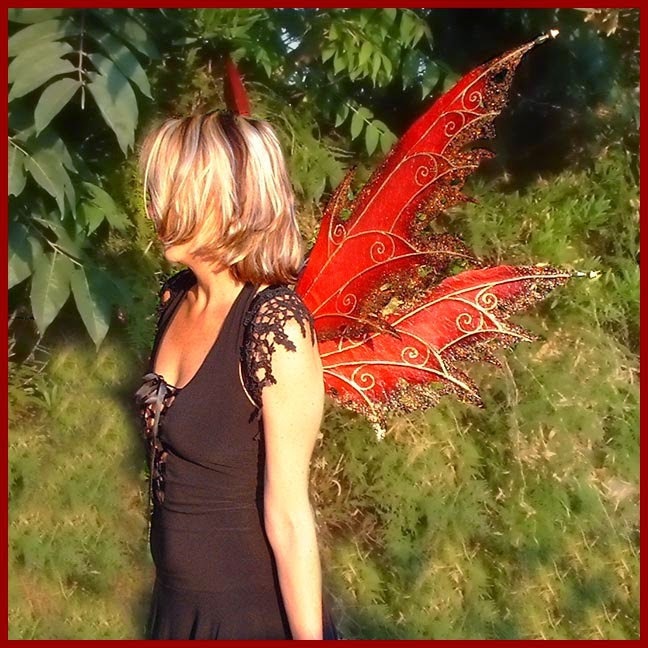 Find a good set of wings and build your fairy persona around them. Here are a few of my fave wings. 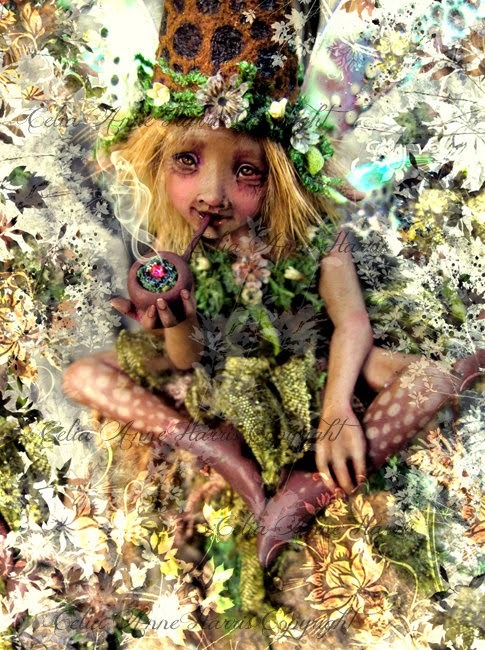 --I don't think I would make a good fairy though, I'm just not adorable enough, lol. *And if you love all things fairy, follow Twig the Fairy, she's a full time fairy that travels the country and has quite the loyal following. She's kinda the epitome of Fairy. Gorgeous iridescent fairy wings by Crone Designs on Etsy. Sculpted Leather Faerie Wings by Bead Mask on Etsy. 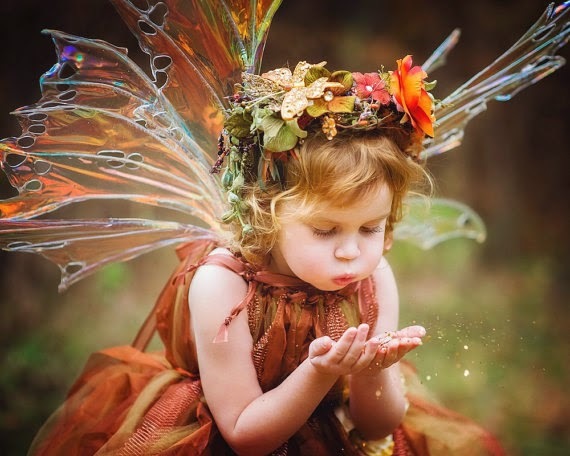 Beautiful fairy wings by Forest of Avalon on Etsy. The popular Elf: Elves also come in all sorts, but this Lord of the Rings style costume by HH Fashions is gorgeous. 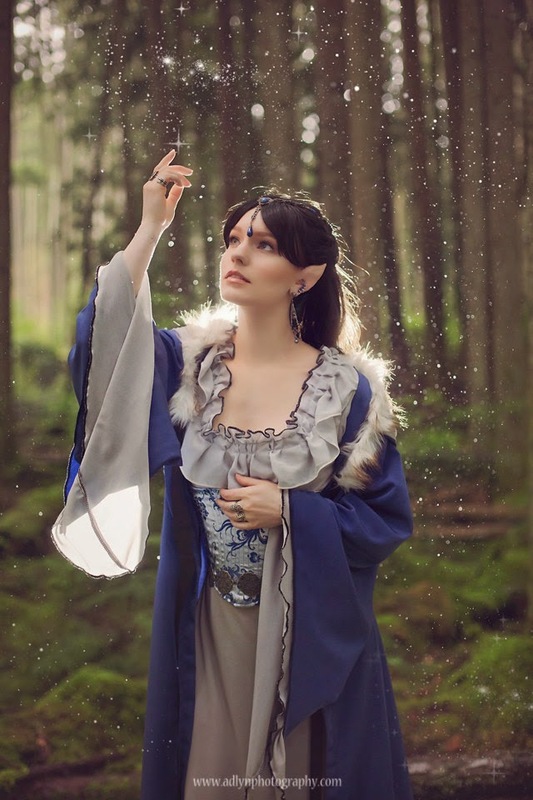 Beautiful Elf Costume by HHFashions on Etsy. 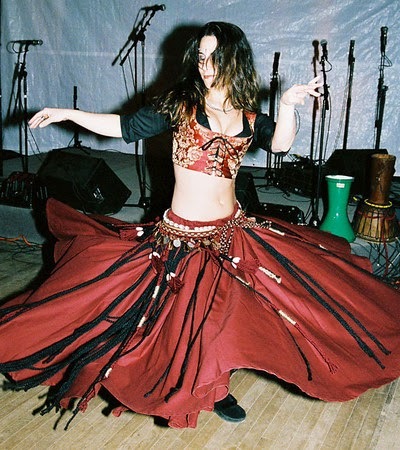 Another favorite, the Gypsy or Bellydancer: I love the swirling skirts and the romantic, nomadic life of the gypsy. This costume is by Crimson Gypsy. The very popular Pirate: Pirates are everywhere at Rennfest and their costumes are always amazing. The details are awesome on this authentic style pirate costume by Brielle's Costumes. 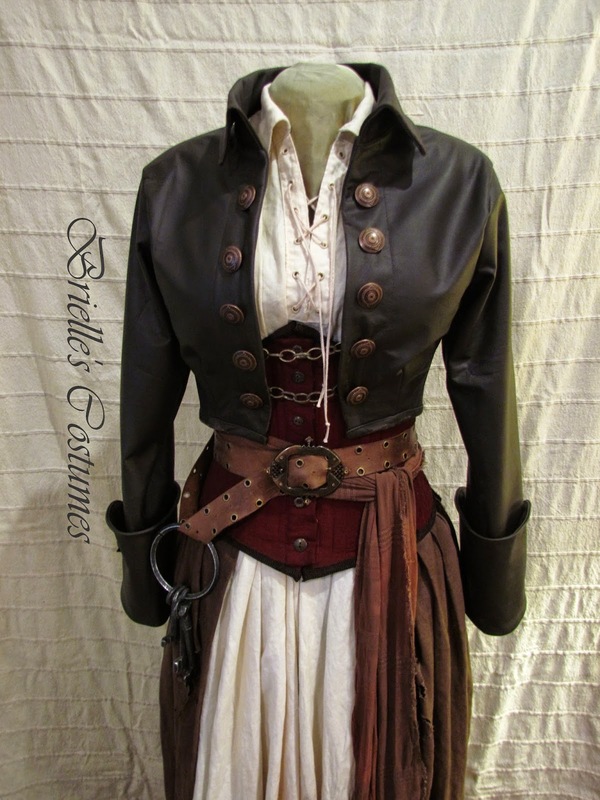 Women's Pirate Garb by Brielle's Costumes. Of course, the Steampunk: You definitely see more Steampunk at festivals recently, which is awesome. I love the imagination they put into all their props. 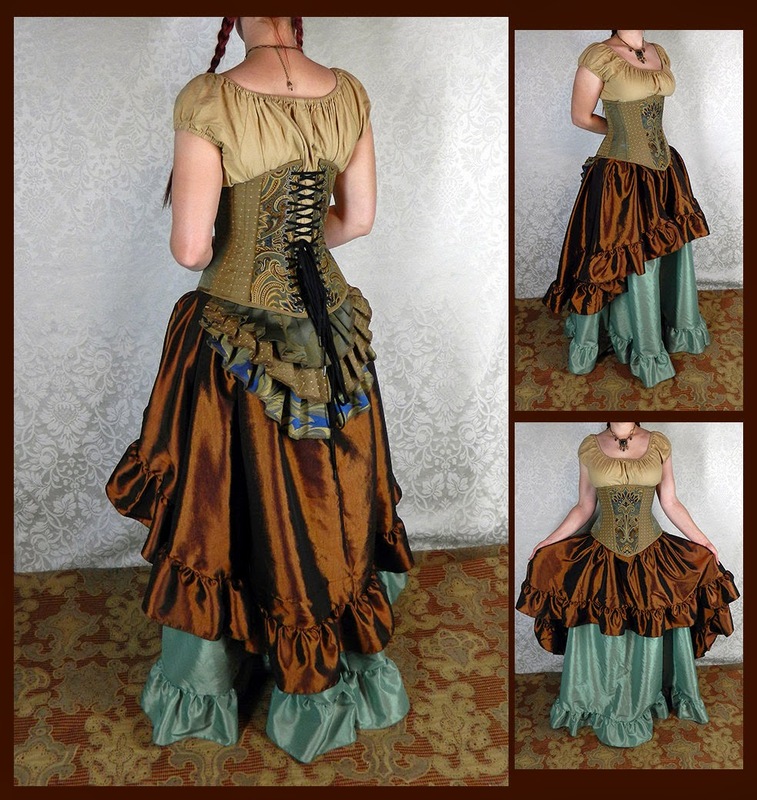 Here's a great base Steampunk costume by Venefica Corsetry to start layering on top of. Layered Steampunk Dress Costume by Venefica Corsetry on Etsy. Don't forget the Royalty: Royalty is rare at festivals, maybe nobody wants to compete with the "Queen and King"! 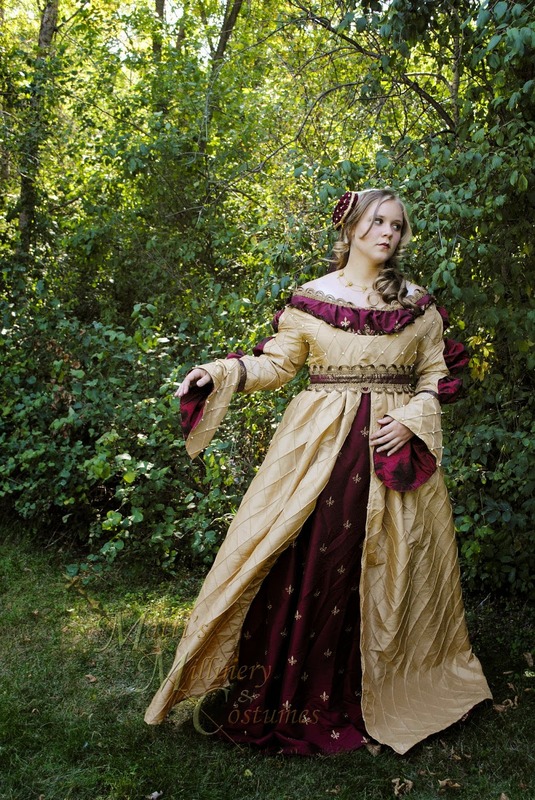 :) This Renaissance Queen costume by Matti Online is gorgeous. Renaissance Royalty costume by Matti Online on Etsy. 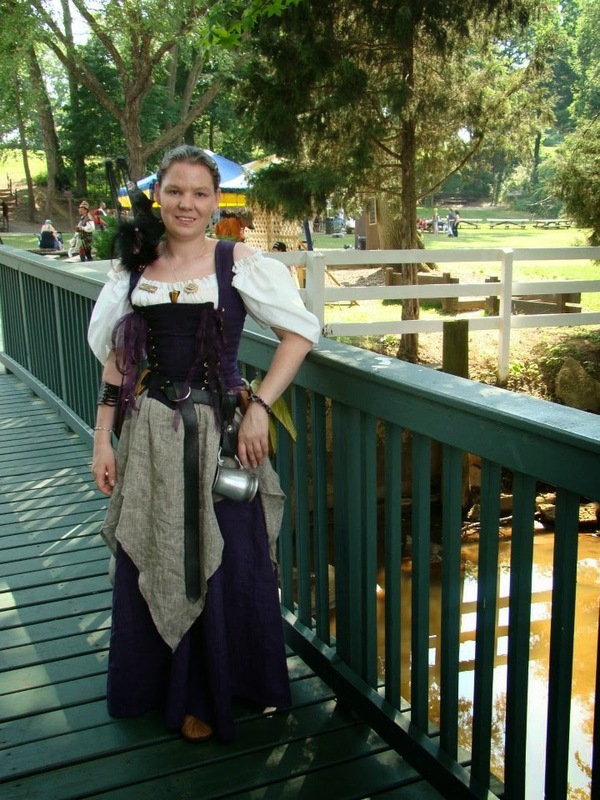 The classic Wench: This is the most common character you see at any given renaissance fair, in many different varieties and states of undress! ;) I think this one is fairly versatile while still encompassing the wench characteristics. Wench costume by Zachulas Crypt on Etsy. Wench costume by Zachulascrypt on Etsy. The Maiden: I love the simplicity of the plain linen dress. This one is by ArmStreet. 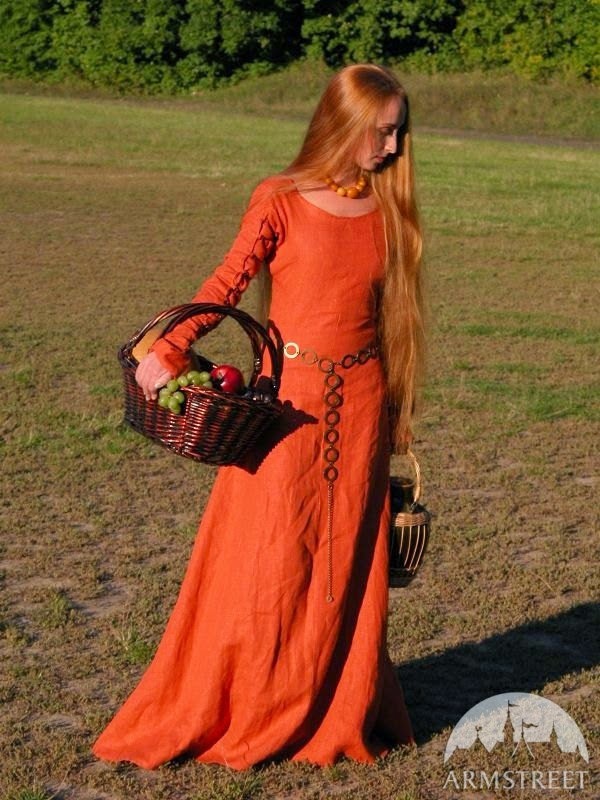 Linen Renaissance Dress by Arm Street. Men's costumes: It's a bit more difficult to find men's costumes. 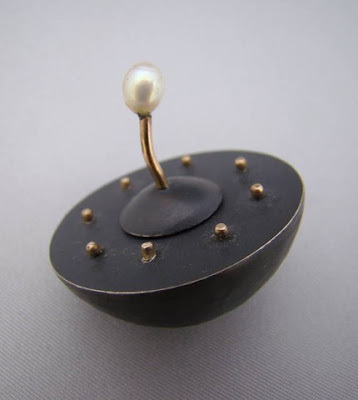 I did see a few good ones, but this seller has tons of gorgeous ones, here's a sample. Cavalier costume by Arm Street. 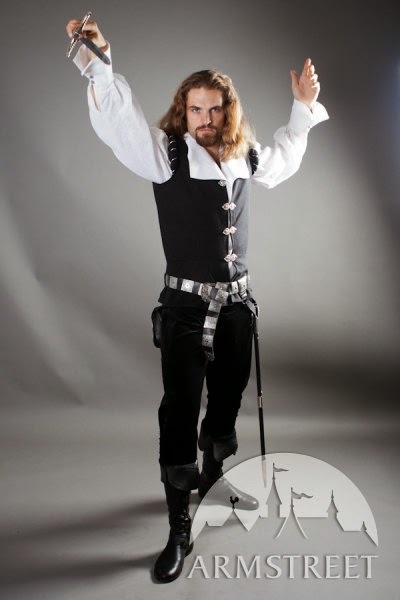 Men's Renaissance costume by Arm Street. Children's costumes: OMG, how adorable are kids when they're dressed in Renaissance garb?! Here are a couple that are just too cute! 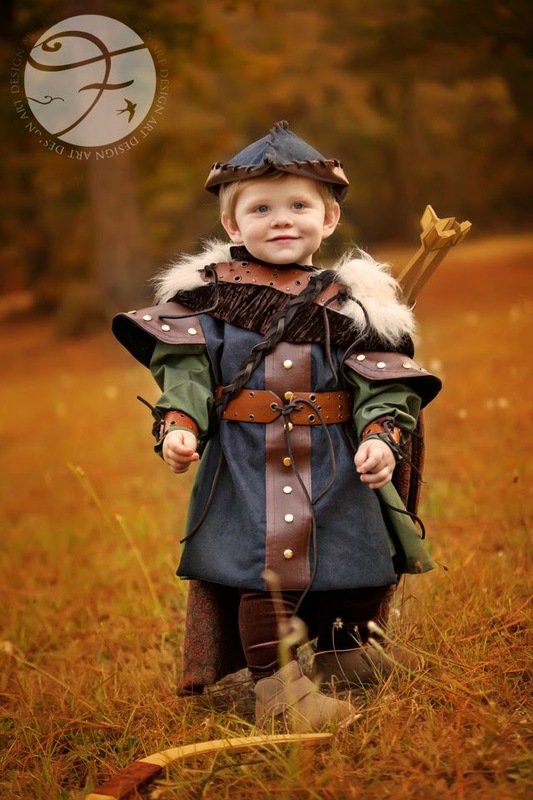 Stunning Little Boy's Robin Hood Renaissance Costume by Vintage Duck on Etsy. 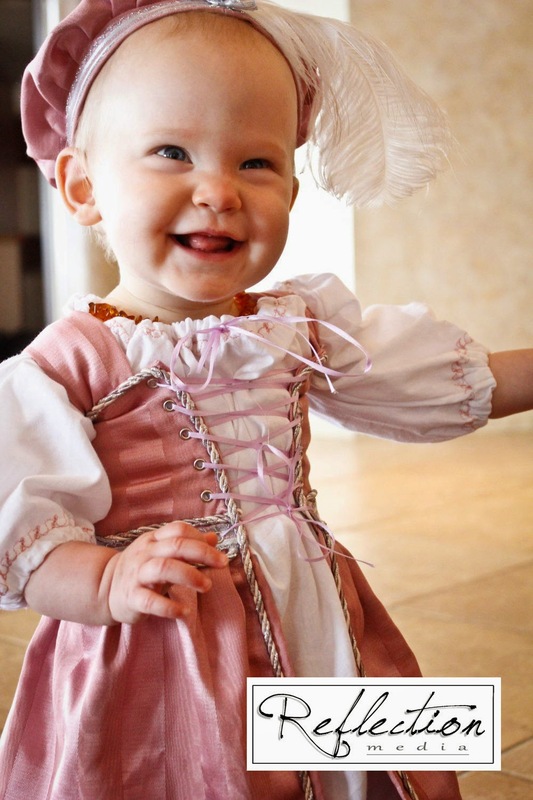 Adorable Little Girl's Renaissance costume by Matti Online. 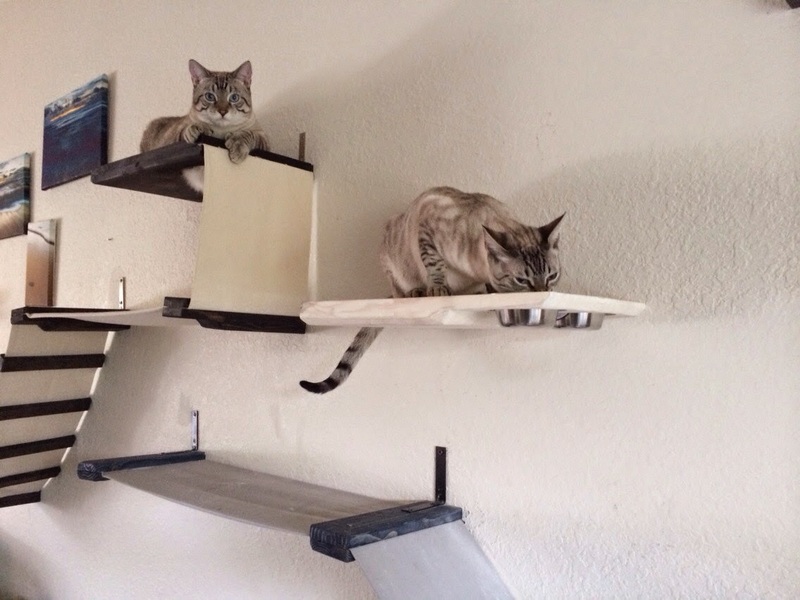 If you're gonna have a cat tree, you might as well make it unique and beautiful. Imagine a wall full of several of these linked together, how awesome! They even have an "Indiana Jones" wooden bridge for spanning doorways. Love it. Take a look at all the cool cat stuff in CatastrophiCreations' Etsy shop. So, in my efforts to label the items I feature in my blog, I became stumped when dealing with the upcycle/recycle tag. What made something upcycled as opposed to just recycled? For that matter, what the heck is the difference between the two? Turns out, it's not too easy for anyone to define. My initial thought was that if you turn something that would normally go straight to the trash into a craft or art then it would be recycling. 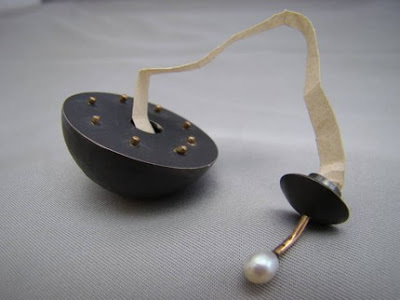 If you turn something that wouldn't necessarily be trash into an art/craft, that would be upcycling. --But then that didn't make sense... really, if you're turning trash, which is low in value, into art, which is high in value, it'd make more sense to call that UPcycling since you're bringing the material UP in the value level. Recycling would make more sense as turning something of any given value, possibly high, into another high value item... you're just turning one thing into another, or recycling it. But that didn't seem right just because of our fairly set ideas of what recycling is. Sigh... Time to do some Googling, lol. So, Wikipedia says this, Upcycling is the process of converting waste materials or useless products into new materials or products of better quality or for better environmental value which goes along with my initial thoughts. It says this about recycling, Recycling is a process to change (waste) materials into new products to prevent waste of potentially useful materials, reduce the consumption of fresh raw materials, reduce energy usage, reduce air pollution (from incineration) and water pollution (from landfilling)... It gives some specific examples of what can be recycled, such as glass, paper, metal, plastic, textiles, and electronics. -- I take this to mean as opposed to the more specific jeans, keyboards, wine bottle, etc., which are not necessarily trash. --So far, I'm still confused. Terracycle states: Upcycling is defined as using or valuing every aspect of waste in order to give it a new useful life." & "Recycling is defined as extracting materials from one product and using them to make an entirely new product. Intercongreen, a site all about sustainability takes a little different stance. On upcycling: A process that can be repeated in perpetuity of returning materials back to a pliable, usable form without degradation to their latent value—moving resources back up the supply chain. An example given is tin cans melted down and made into new cans. 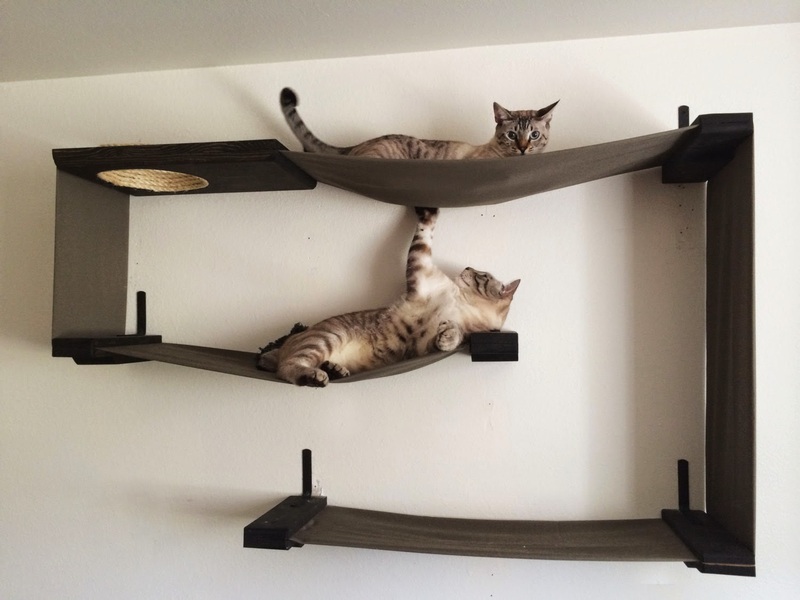 They also have this to say about upcycling: More than once I have seen people broadcasting their “upcycling” habits like making wallets from tires, or lawn chairs from pallets, or tables from wire spools. 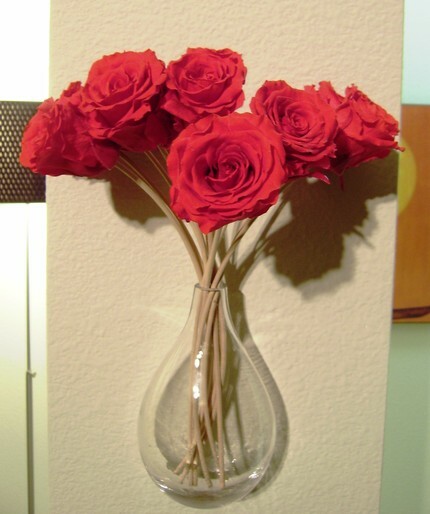 These are examples of recycling. None of those materials are going back UP the supply chain (the series of processes that an industry uses to create a product or service.) They are just making the chain a bit longer. On recycling: When plastic bottles are recycled, for instance, most often they cannot be turned back into containers associated with anything that can be ingested due to the risk of things seeping into the plastic. As a result, these usually become carpets, or toys, or winter fleeces: things that will eventually also become trash. Recycling has simply prolonged the inevitable by stretching out our waste stream and made the lifecycle costs of the material a bit less. Maybe there's the "technical" and possibly true usage of the term that people in the sustainability field use, but with the recent surge of DIY incorporating the term into their craft it has just come to mean making new things from old things. Personally, I think it's just a trendy term and just plain sounds better that saying recycled. So there you have it. I'm sticking to my original thoughts on usage and the RECYCLED label will go on items that have been made from things that *I think* would otherwise go straight to the trash, such as these Fused Bottle Business Card Holders and UPCYCLED labels will go on items that have been made from something else that would otherwise still be usable (but possible old/torn/broken/etc) like these Lego notebooks. 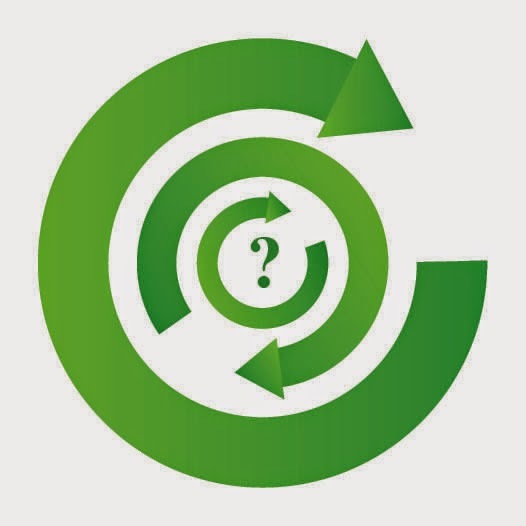 Does anyone have comments or thoughts on the difference in the two or on the recent increased usage of the term Upcycled? I wanna hear your thoughts! !! !OH, I do want to voice my thought on using these terms when they don't really apply. Example: if you PURCHASE your plastic grocery bags to use in your craft it is NOT recycling. hmmm... is it upcycling though? I truly don't believe so, but maybe you have a different opinion. Super clever and creative idea! I never get tired of seeing the amazing creations made from recycled and upcycled things! And when it's fashion you get to be green and look great! 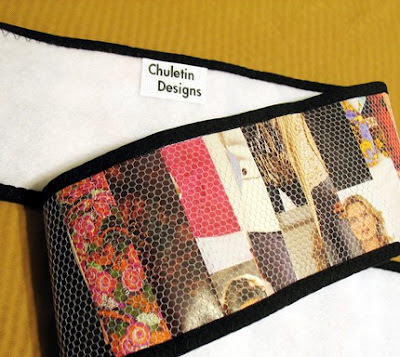 Visit Chuletindesigns' Etsy shop for more unique fashion finds! I think these are the cutest things ever! 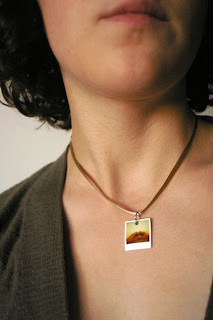 Jewelry, and other items, made from real Polaroid images! 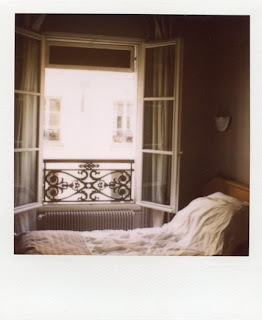 I love the look of Polaroid pictures; the old style, with the big white border perfect for jotting down quotes and dates and other clever things. Makes me think of being a silly kid and wanting snapshots of every goofy pose my sister and I made! 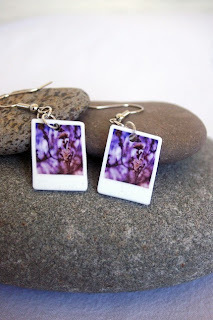 The pieces by Lauren of Lauren Beacham Photography (Jerseymaids on Etsy) are a far cry from those old Polaroid shots! The photography is modern, gorgeous and translates perfectly to whimsical necklaces, earrings, and rings! 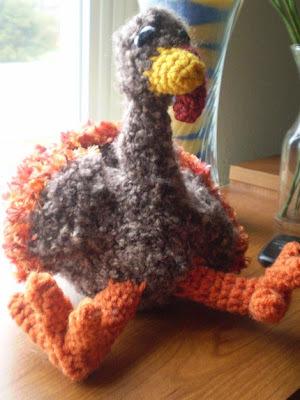 Take a look at some of the fun stuff here, and visit her Etsy shop and Website for more! These names are just begging to be experienced! And the packaging is gorgeous, too!! 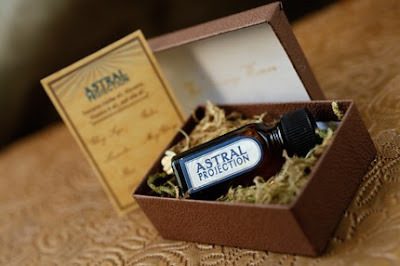 Browse through all the amazing scents in ForStrangeWomen's Etsy shop. 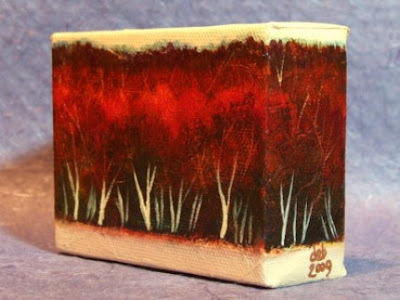 My eye immediatly zeroed in on this gorgeous painting by DeborahEBurrow! The colors are stunning and this painting is definitely all about mood! I love how it wraps around the deep canvas! It's just inviting you to enter. I would love to have this in my dining room where I can quietly sip my coffee while I stare into it's peaceful darkness. 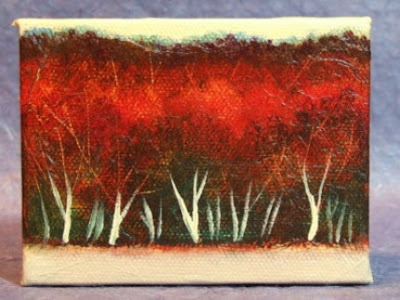 Take a look at all the beautiful artwork of DeborahEBurrow in her Etsy shop. I am absolutely inspired by the work of lawatson! I am, as shown in the past, a huge lover of texture and things with an emotional pull. 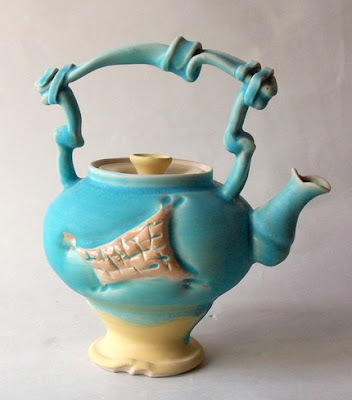 These teapots are exactly the type of thing that I'm drawn to! So much textural variation, mixed shapes and color, all done in such an artistic way as to create instant emotion, each in it's own way. 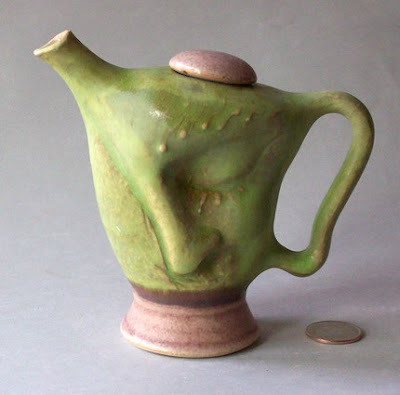 Take a look at all the stunning work of lawatson in his Etsy shop or his website. 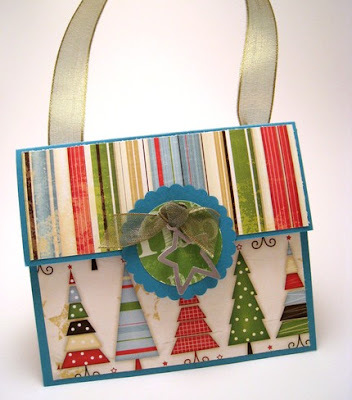 This is the cutest little upcycled purse! 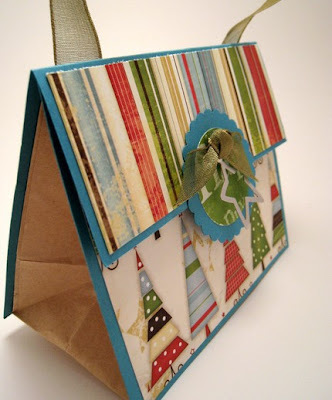 It started out as a simple brown paper bag, but is now a beautiful, festive purse! I especially love the mix of patterns and color! --I think it'd be an awesome gift bag, too!! Take a look at all the great goodies in pinkpatrice's Etsy shop. I never cease to be amazed by the imagination and creativity of our indie community! 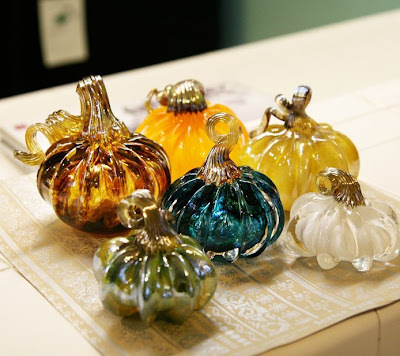 I love things that are in the line of tradition but allow you to express your personality! 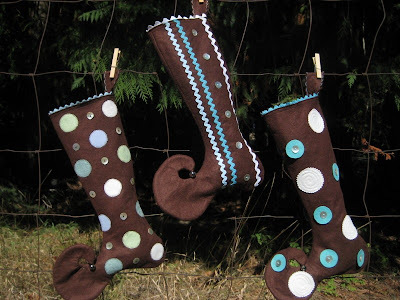 These stockings by BakerGirlDesignCo are perfect for that. 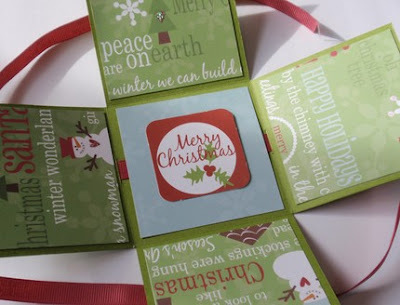 They're great stockings to hang from your mantle, but with a twist! Who needs everything to be green and red anyway!! LoL. 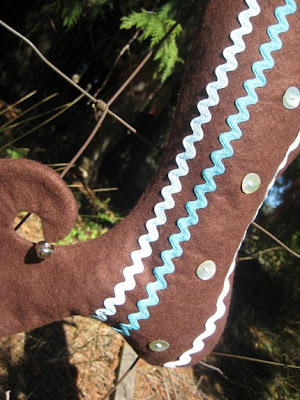 And I love the little elfen accent of the twisty toe and bells! Super cool!! Take a look at lots of great things in BakerGirlDesignCo's Etsy shop! I'm crazy about this gift box by Jeni of pnkgeeni. Super unique idea and perfect for any type of holiday gift! Well, maybe not a bicycle, LoL, but definitely for that special surprise gift, anything for a kid, or a unique twist to pack a gift in for the person who has everything. Or, how about extra large Christmas Crackers! Cool!! Head over to pnkgeeni's Etsy shop for lots more super unique items! This is absolutely one of my favorites! It's beautiful, cute, ingenious, clever, and super UNIQUE all rolled into one!! Take a look at all the super unique items in HEILOstudios's Etsy shop. 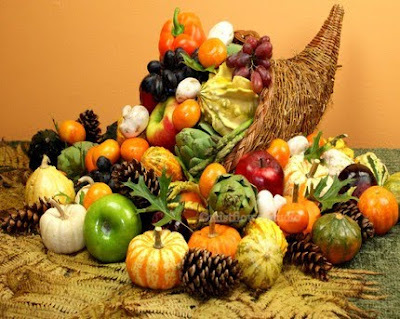 Some amazing Thanksgiving items for your enjoyment! 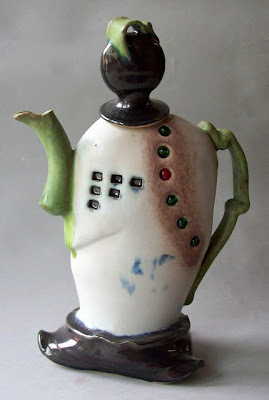 Check out all the great functional art and art for art's sake at doubleyouEm's Etsy shop! 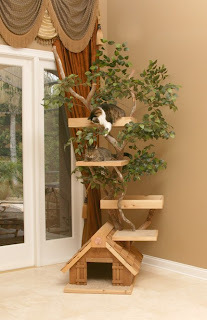 Made with real trees, these bring a little out doors in! Cool!! 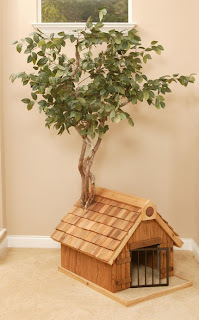 Take a look at PetTreeHouses' Etsy shop to see all the tree houses available for your cat, dog, bird, and even reptiles. 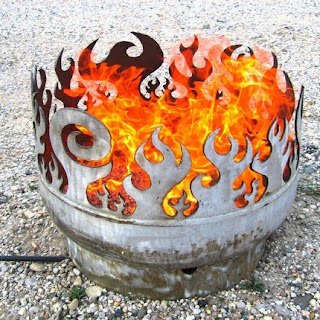 These firebowls made from recycled steel by johntunger take my breath away! They are stunning!!! 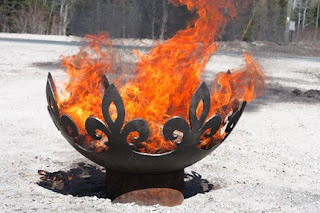 Roasting marshmallows and sipping wine while chatting with friends around one of these would make an incredible evening!!! Check out johntunger's Etsy shop for more awesome designs! Wow! 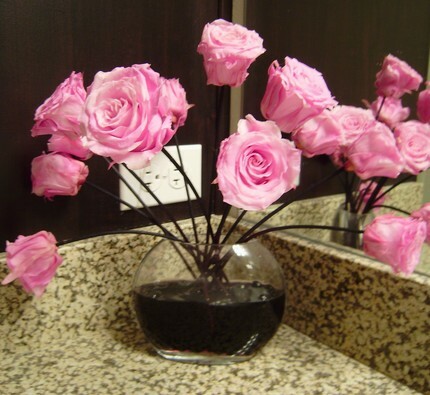 These are beautiful even without the added function of being a reed diffuser! Such an awesome, unique idea! 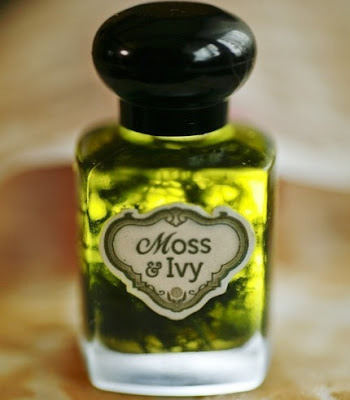 Take a look at all the "varieties" in MelroseFields' Etsy shop.